There was this short story I wrote almost 7 years ago. The title of the story was “33 minutes” and I had called it thus because the sequence of events that form the crux of that short story happen in 33 minutes. (I am sure you have guessed that reason even without reading the story.). Here it is..
A good friend of mine reminded me earlier today that yesterday was Authors’ Day (Or International Authors’ Day) and that reminded me of this story I had written. As I was reading it again this morning, several memories flashed through. Firstly, I was amused with myself for having imagined to write a story like this. Then I was surprised with myself for having the clarity I seemed to have had then about the characters. Being a short story, I didn’t delve into a lot of details. But I could recollect many of the details that went unwritten (but stay fresh in my mind even today) about the characters, events, etc. So, I thought I would quickly pen down some of those details without specifically going into the details..Know what I mean? 1) Mayan Bloodletting Ceremony – There is enough reading material out there but this was a real ceremony that was common in Mesoamericas. I definitely took some artistic liberty in imagining the ceremony in my own way. Here is a publication worth reading on this topic. 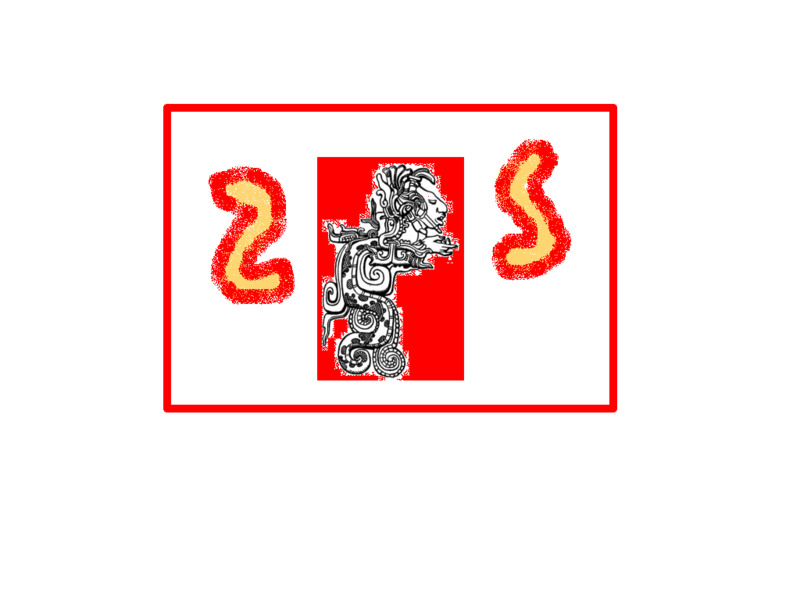 2) Vision Serpent – Again this was a real symbol from the pre-columbian Mayan era. The symbol on the package was manually created by me keeping the vision serpent in the center. And I had a specific reason to create the symbol thus. 3) If it is not clear in the story (it is intentional) Chief Shirley is a single mom with 2 kids. Amber (13 year old girl) and Timothy (9 year old boy). There is a back story for Chief Shirley that I didn’t fully develop but had sketches of what it would be like. 4) Backstories of Sergeants Kimberly and Sam. What is their relationship? 5) Time period. Which time period is this story set in? I had deliberately left it ambiguous. Gives an opportunity to the readers to let their imagination do the trick. 6) And finally the town of Hemsville – I had imagined it to be in a certain way. There are many characters who are the citizens of Hemsville that are waiting to be developed in a more detailed manner. So many side stories to build on. For example the three other characters who briefly get a mention in this story – Himler (the deliveryman), the unnamed Hemsville Police Department (HPD) night shift clerk and the Security Guard. While I was revisiting this story this morning (as I was walking my dog out on a mildly chilly Autumn morning), I had a flash of an idea. An idea that I believe would be simply awesome for a short film. I even had the sequence of the scenes built in my mind in a few minutes. But then making a short film is going to be that much more difficult for now. So for now, I have decided to take up the challenge of converting that film idea into a short story first. I say challenging because…because..hmmm..you will know when I actually publish it here.